This is awesome, nicely done sir! Hi...this is very helpful. 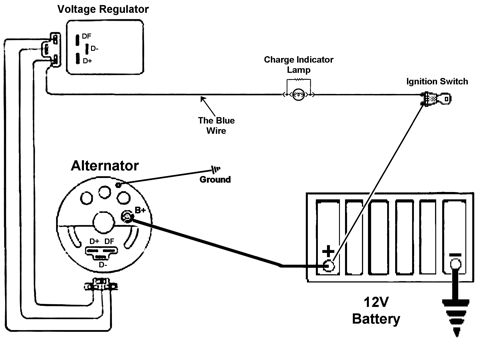 I am curious how the diagrams above and the testing guidelines would change for those of us that have installed 80/90 self-regulated alternators. In my case I installed an alternator from a 1984 318i that I found at a Pick-N-Pull. My local O'Reillys offered to test the alternator for me so I took them up on the offer. The test was unsuccessful as the regulator was said to have failed. 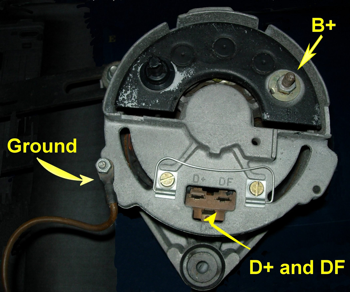 Yet, in running the tests in this article, the alternator appears to be running fine. 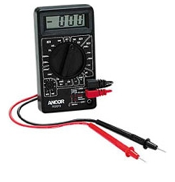 The battery voltage reading with the engine off is consistently just over 12.5 volts. When the engine is on the voltage is just over 14.1. In fact, the car has been running great since I installed the alternator. I did not remove the old external regulator and I terminated the two unused wires that attached to the original alternator in electrical tape. Any idea whether the internally regulated alternator or the remains of the old external regulator would lead to false positives? Thanks. Sorry for the somewhat late response. What do you mean by "false positives"? It sounds from the info you provided that your alternator is functioning AOK.